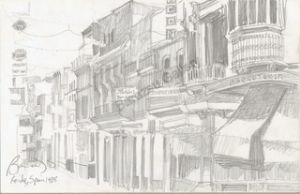 Description: Plein air pencil drawing. Gliclee prints only. Various sizes available.